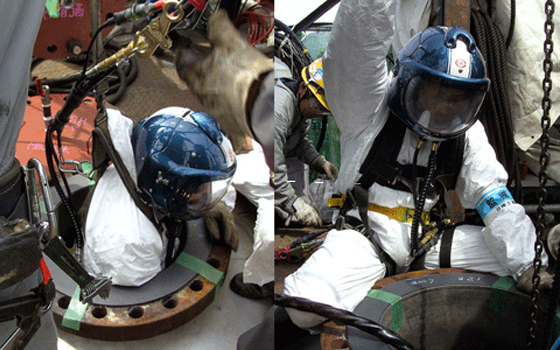 Breathing Systems Inc. life support systems are NIOSH/CE approved and used throughout the international petroleum refining, petrochemical, and liquid natural gas industries to protect the lives of workers inside confined spaces and during inert entry into nitrogen purged vessels. The heart of the system is our anti-panic, clamshell design helmet which allows difficult maintenance operations to be carried out safely with significant reduction in plant downtime. Breathing Systems Inc. equipment is used for a variety of activities including catalyst unloading and loading operations, inspection, tank cleaning and mechanical work in hazardous environments. Our core design is based on the aerospace principal of Fail-Safe technology to protect the lives of flight crews. 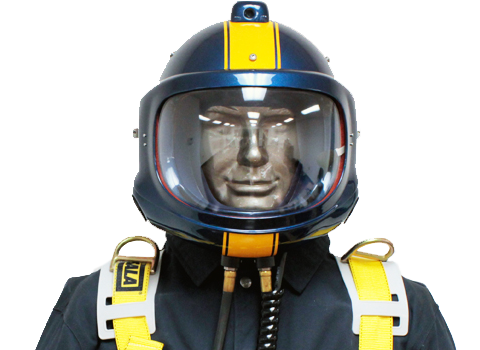 The helmet assembly, air supply hoses, communications cable, and air control consoles are all integral components of our Life Support Systems. Breathing Systems Inc. provides maintenance and repair services to its clients. 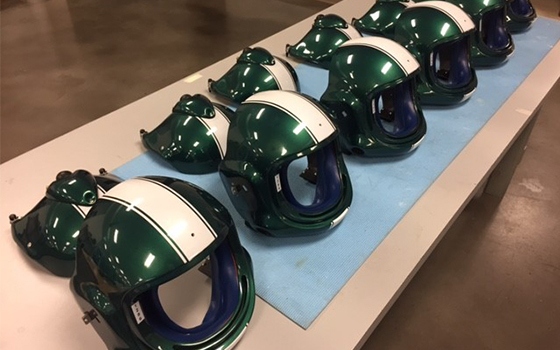 From full Life Support Systems to helmet regulators, we can take care of any product or part purchased with us.